If you happen to be a paddlesports enthusiast looking for a new personal watercraft but can’t decide between the openness of a canoe and the maneuverability of a kayak, then look no further as the Next Canoe by Old Town is the perfect choice for you. Why is that? Well, because Next Canoe incorporates the best features of both watercrafts. The name of this boat perfectly describes what this watercraft is about, bringing next level features to a personal watercraft. 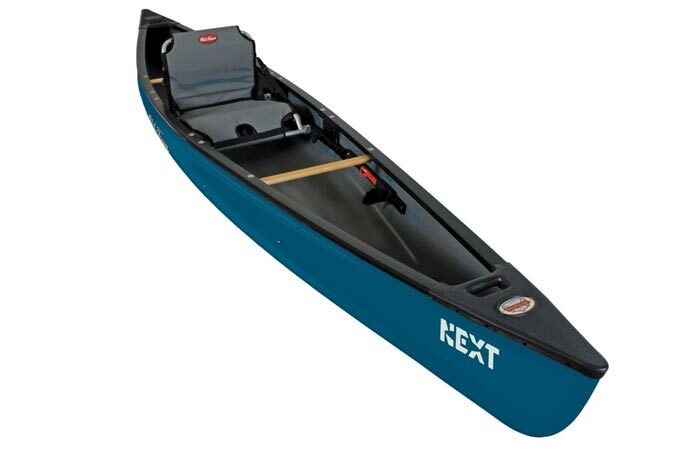 As it was previously mentioned, Next Canoe combines the best a canoe and a kayak have to offer. Paddlesports enthusiasts are already familiar with the freedom and maneuverability of a kayak, as well as the open space a canoe boasts. Bringing these features together gives more versatility to a boat than one might think as this well-designed boat can carry 450 pounds of cargo in it. If you don’t have any heavy equipment with you, the Removable Element seating system allows you to move the seat accordingly. As for the paddle used with this boat, you can use both a single and double-bladed paddle thanks to the hybrid design of this boat. However, if you happen to purchase a Next Canoe you will get a Next Paddle along with it. This paddle is available in three lengths: 220, 230 and 240 cm, which makes it slightly longer than most paddles of its type. These lengths are perfect because of the lower profile and pronounced tumblehome of this boat which allow for much easier paddling. The 100-year experience of Old Town is notable when it comes to the durability and quality of this boat. Its hull is made from 3-layer polyethylene which will make it last for a lifetime. 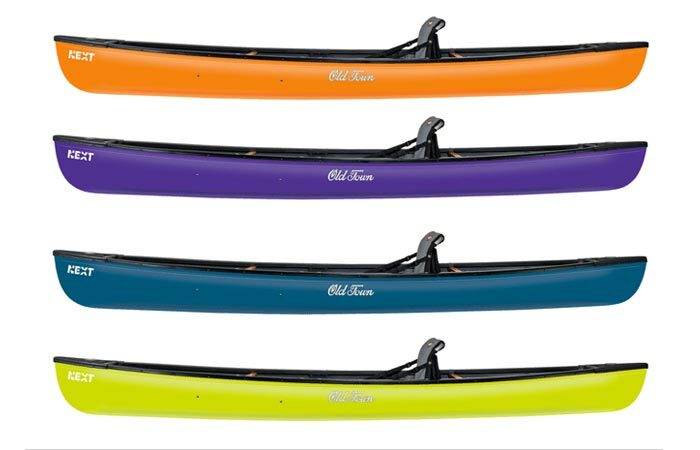 And to sweeten the pot, Next canoe and paddles are available in four dynamic colors: blue, green, orange and purple. This is truly a next generation boat which uses the best features of a kayak and a canoe, so if you are looking for a personal watercraft with versatility and easy maneuverability, Next Canoe is what you need.